It was something of a milestone birthday for me last week and with another year notched up, I felt that my skin could do with a bit of TLC - it was in dire need of some rejuvenation as it was a bit dull and lacklustre of late. 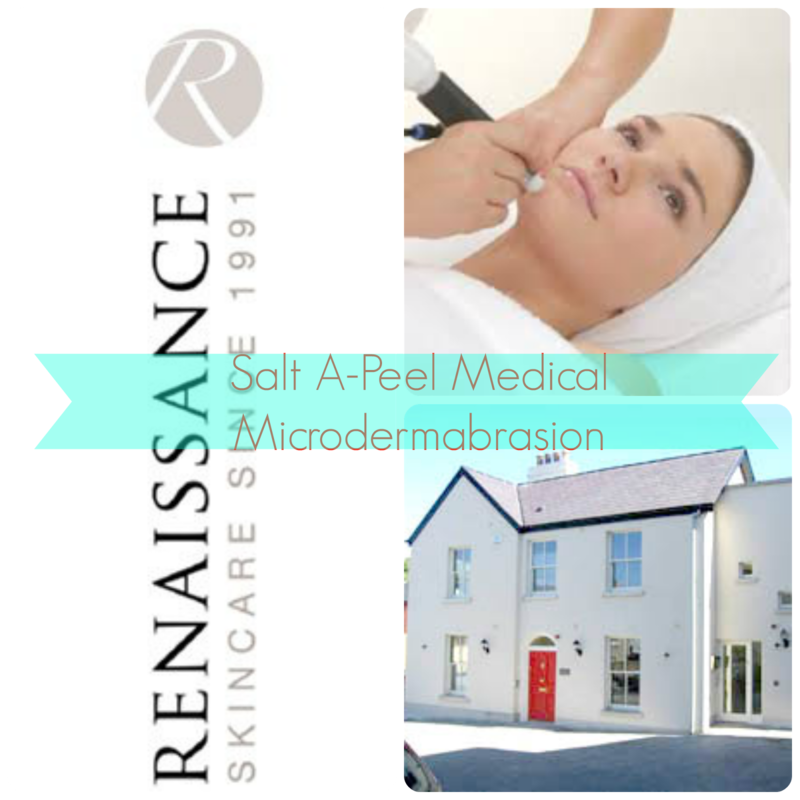 So it was with perfect timing that Renaissance Laser & Skin Clinic in Howth recently launched their Salt A-Peel Medical Microdermabrasion treatment. Led by medical director Dr. Michele Caraher, Renaissance Laser and Skin Clinic is a state of the art clinic dedicated to providing the very best in skincare. Microdermabrasion is a deep exfoliating treatment that rejuvenates the skin by removing dull, lifeless, sun-damaged skin, and stimulates the production of new skin cells and collagen. This treatment gives your complexion a smoother appearance, improves lines and wrinkles, skin texture and colour by polishing the topmost layer and then vacuuming away the dead skin cells in a safe, controlled manner. The procedure is non-surgical and non-chemical meaning that you can even pop in on your lunch and have that healthy, radiant glow in no time at all. Unlike most conventional treatments, the Salt A-Peel Microdermabrasion is a deep exfoliation treatment that is gentle enough for all skin types, which sounded perfect for my as I do have sensitive skin so Microdermabrasions in the past have been a no-go area for me. 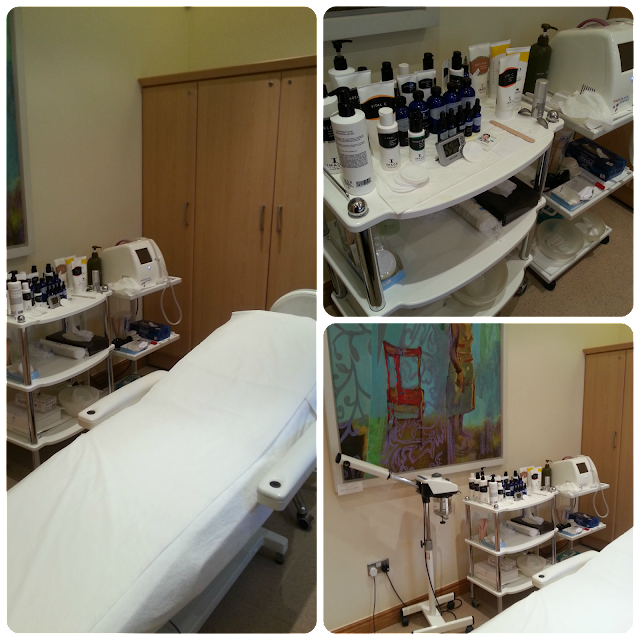 The Renaissance Laser & Skin Clinic is situated in picturesque Howth and despite me arriving something looking akin to a drowned cat having got caught in a heavy shower whilst making my way there, I couldn't have been offered a more friendly and warm welcome by the Clinic Manager, Sinead. 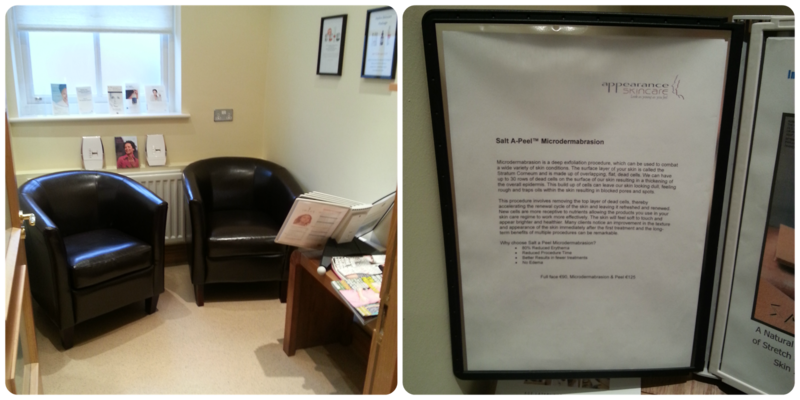 The clinic itself was very inviting and cosy - definitely a place to chill out in tranquil surroundings and relax whilst having a treatment done. I was shown to a waiting room and given a 3-page consultation form to fill out detailing any medical history and skin concerns and/or problem areas I may have had. I was then met by the lovely Kristina, an Aesthetic Therapist who specialises in Microdermabrasion and IPL Skin Rejuvenation to name but a few. Kristina brought me into the Consultation room and proceeded to examine my face talk to me about my skin issues - which are primarily sensitivity and dehydrated skin. During this process, Kristina took 3 photos of my face - one full frontal, and two from either side. Within a matter of seconds the images were uploaded onto the computer in front of me where it highlighted areas of redness and broken capillaries, pigmentation issues and sun damage on my face. I'll be honest, these photos were brutal. I was absolutely shocked, horrified and mesmerized all at once by the level of detail in these photos. Blemishes and broken veins had no hiding place here and were as plain to see as night and day. Whilst I do suffer from dilated capillaries and broken veins on my cheeks, nothing could have braced me for when I saw the photographs, showing all manner of erythema and unsightly broken veins in their entirety. Even worse to come were the photos showing the amount of sun damage on my skin. Now, I'm a NC10-15 for reference, so pretty pale by all accounts and I always ensure to slather myself in SPF50 when on holidays or if we're having a particularly sunny spell at home, and I do try to stay out of the sun where possible so I was expecting my skin to be fairly OK in that regard. Nothing could have prepared me for the shock and full realisation when I saw the amount of sun damage I had. Moles, freckles, and pigmentation marks which I never knew I had reared their ugly head at me. It was not a pretty sight. More importantly however, it really hammered home the point of wearing SPF EVERY SINGLE day regardless of the weather. I'm always advising people to wear SPF but sadly I was guilty of neglecting to heed myself. Let me tell you, the photo displaying signs of sun damage has really opened my eyes to the need to protect your skin on a daily basis. No, really, girls, slap on some form of SPF on a daily basis and go for one that's at least 30SPF if you can. After the shock of all that, I'm delighted to say that I had loads of time to recover and relax during the actual Salt A-Peel Medical Microdermabrasion treatment. Kristina, my therapist advised that she would normally repeat the process making 2-3 passes over a persons face with the Microdermabrasion machine, however given my sensitivity she would just give me the once-over to avoid aggravating my skin any further. Kristina was a wealth of knowledge throughout my entire appointment, let me just preface by saying that she really knows her stuff and it's no wonder that her experience in this field is crucial when determining a specialised treatment plan. The Medical Microdermabrasion skin care equipment utilises salt crystals passing over your skin to remove dead or damaged skin cells and at the same time refine any fine lines. This is one of the most natural ways to regain the youthful appearance of skin without chemicals or surgery, or extended periods of irritation and redness. In fact, you can have this done during your lunch-break and no-one at work will be any wiser that you had anything done. The treatment started with the placement of eye patches to cover and protect my eyes during the process. The salt used is very finely milled and not at all coarse or rough and I have to say, in all honesty, that the treatment is actually very relaxing - there was NO pain whatsoever, not even any discomfort. I can safely say that this is a totally painless procedure. All I felt was the slight suction of the aspirator gently removing the salt crystals and dead skin along with it. Kristina then proceeded to remove any traces of salt or solution with the aid of damp cotton pads. This was then followed with the application of an IMAGE Skincare Vital C Hydrating Enzyme Masque which gently exfoliates dead skin with fruit enzymes. The slight tingling I felt when this was applied let me know that it was working and doing as it should. My treatment was then finished with the application of the IMAGE Skincare Vital C Hydrating Intense Moisturiser which had the most gorgeous fruity and zesty smell. Afterwards my skin looked fresher and more revitalised. It also felt velvety soft and smooth. I can guarantee you that I left the clinic looking a lot better leaving than I did arriving. It was definitely a "my skin, but better" experience which left me looking rested and refreshed. Kristina also highly recommended the benefits of a few IPL sessions which she said would make a definite improvement in the appearance of dilated capillaries and broken veins. Whilst it's not cheap at €150 a pop, it's definitely something I'm going to look more into and consider investing in, in the future. 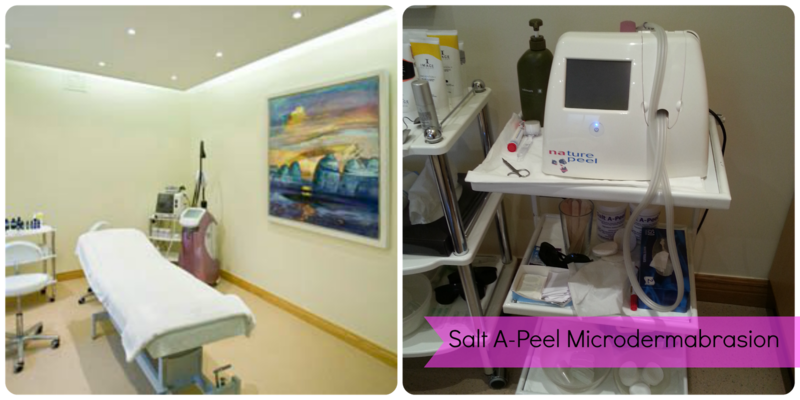 As for the Salt A-Peel Medical Micodermabrasion which I had done - this starts from about €90. Which when you consider that you can pay this amount for a decent facial - which let's face it, as nice and all as they are, can be a glorified simple cleansing, toning and moisturising treatment - whilst this uses state-of-the-art medical-grade machinery and you can really see and feel the difference straight away afterwards, I consider this to be great value for money for both the excellent service provided and results produced. In addition to this, they also offer a great incentive programme whereby if you refer a friend for any service you get 10% off your next treatment - or refer 3 friends and receive an Image Resurfacing treatment for free. Also one to watch are their monthly offers as shown on their website here.